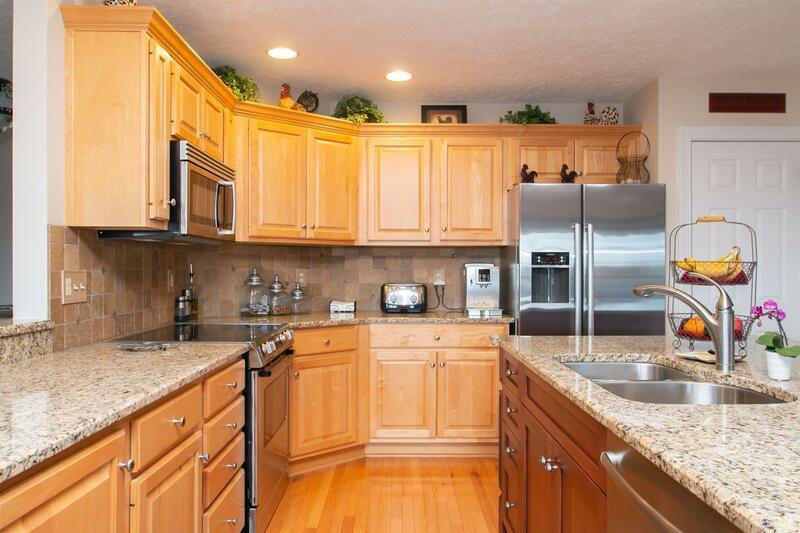 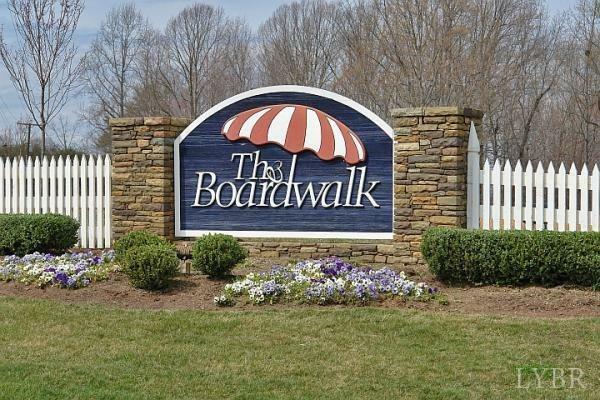 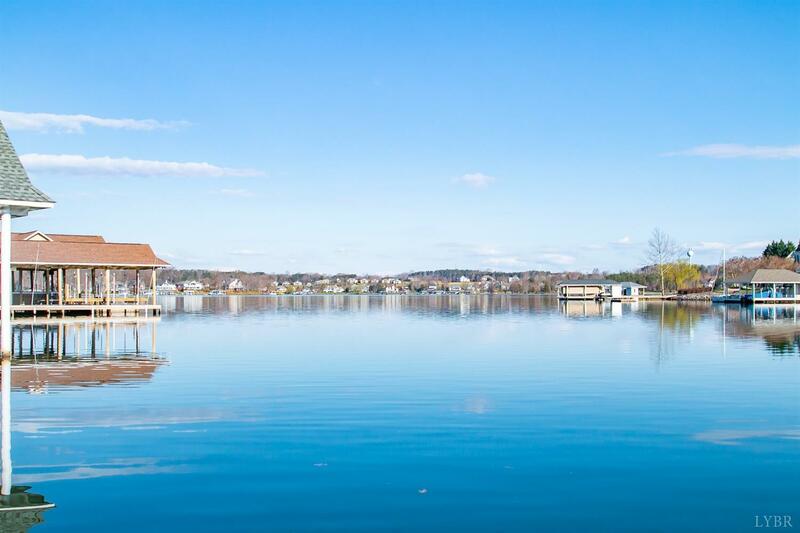 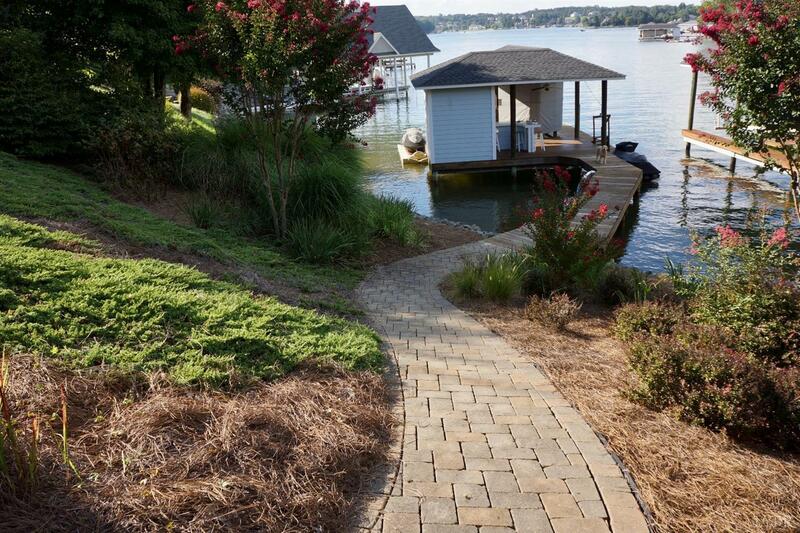 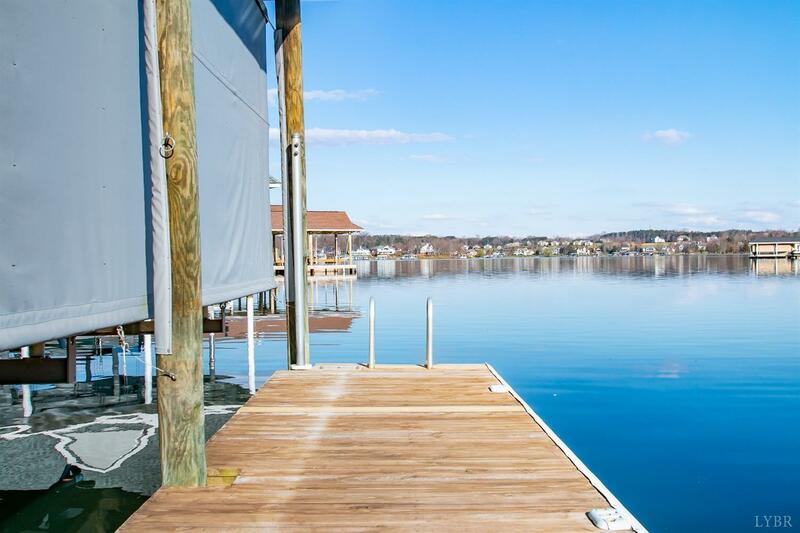 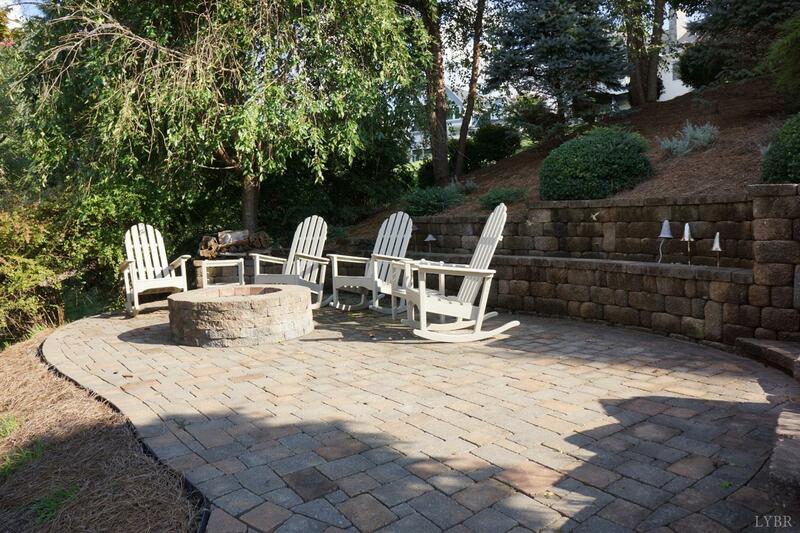 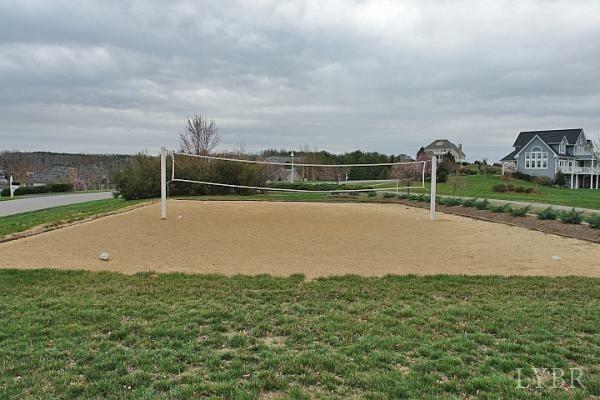 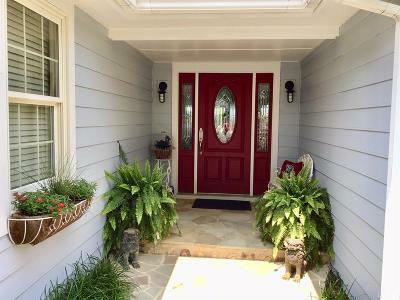 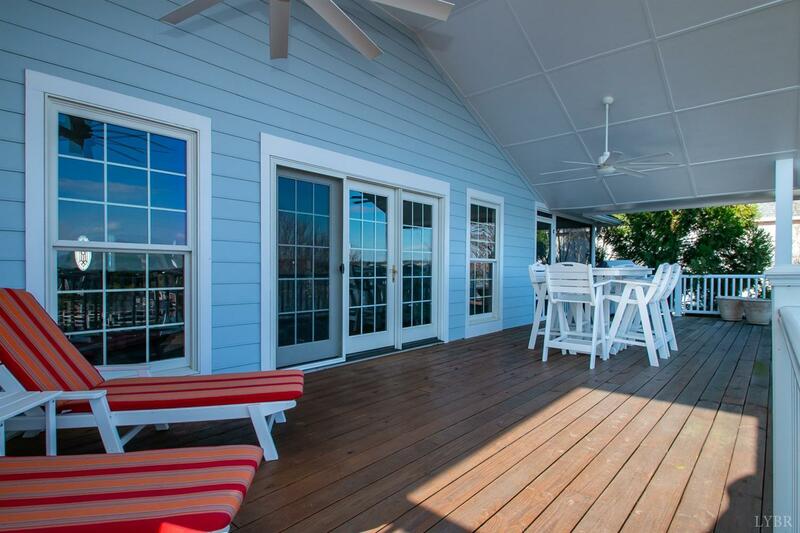 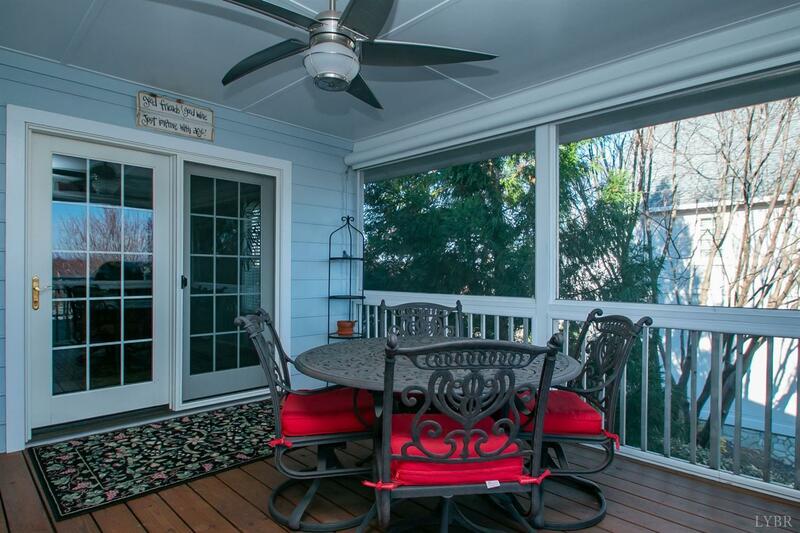 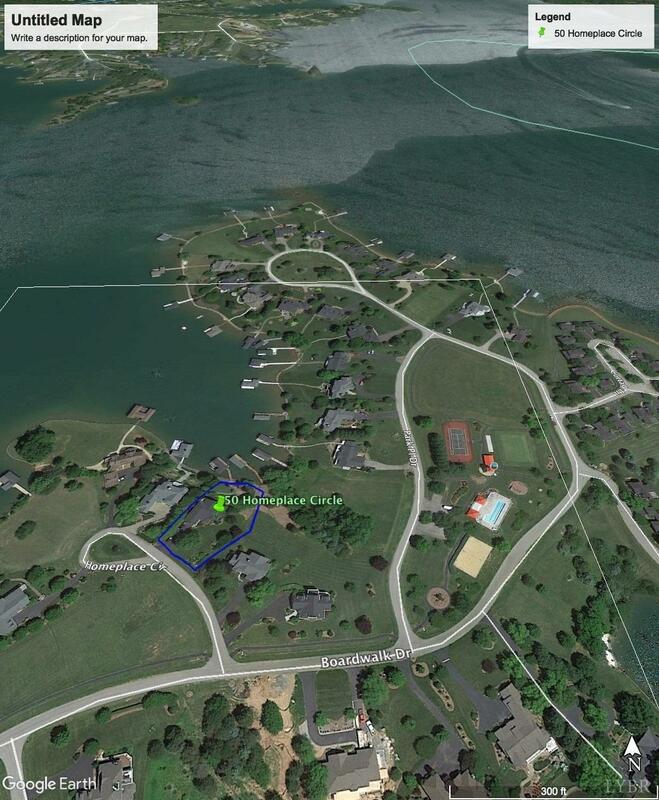 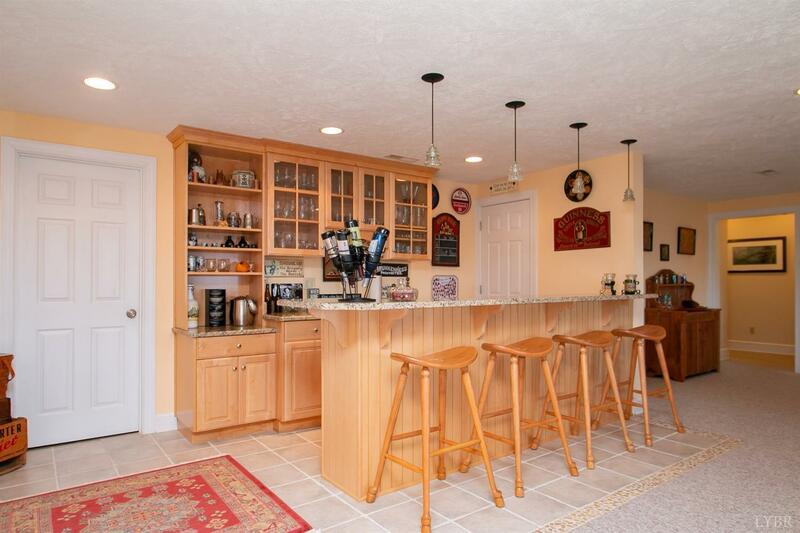 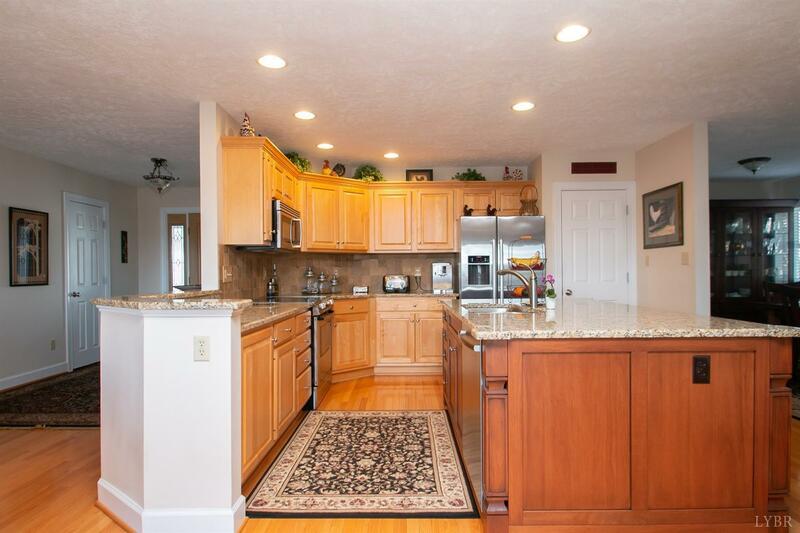 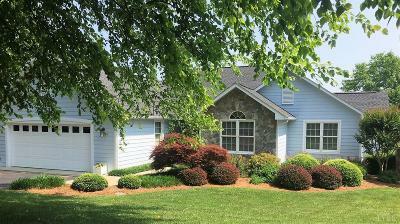 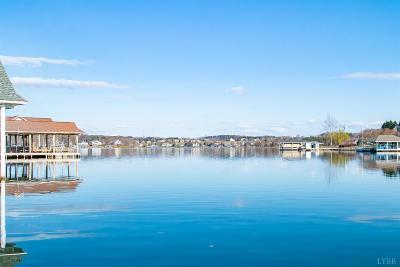 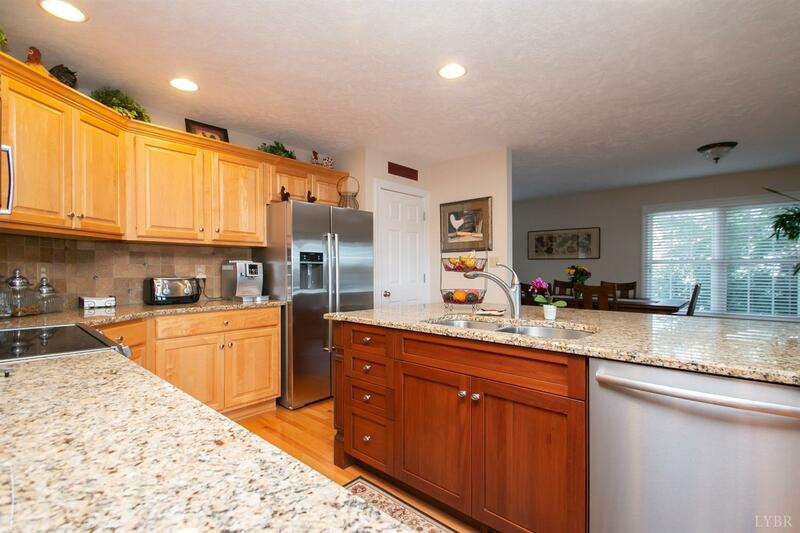 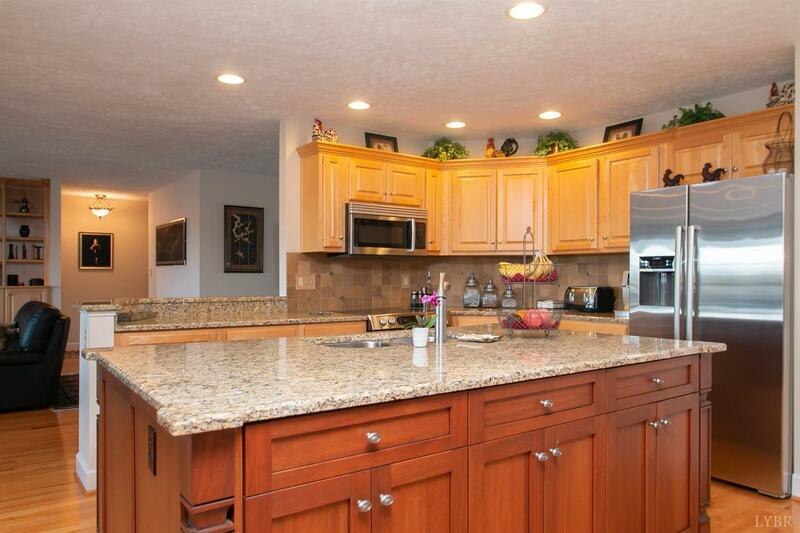 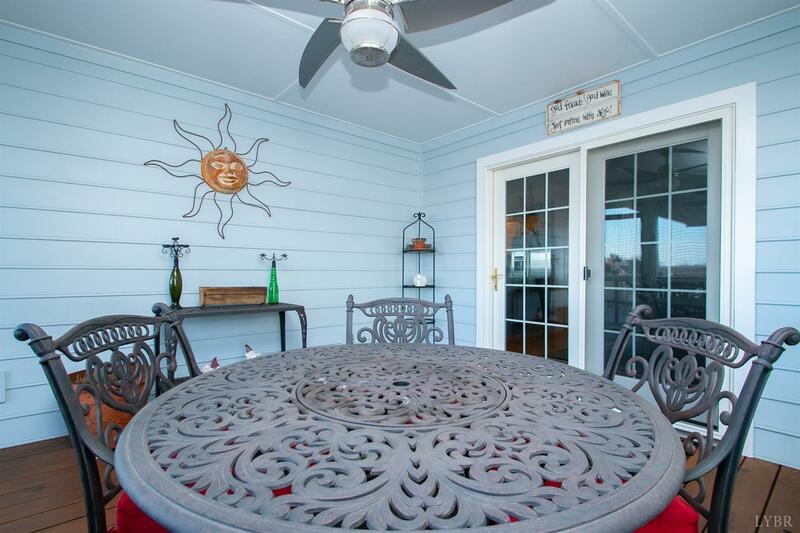 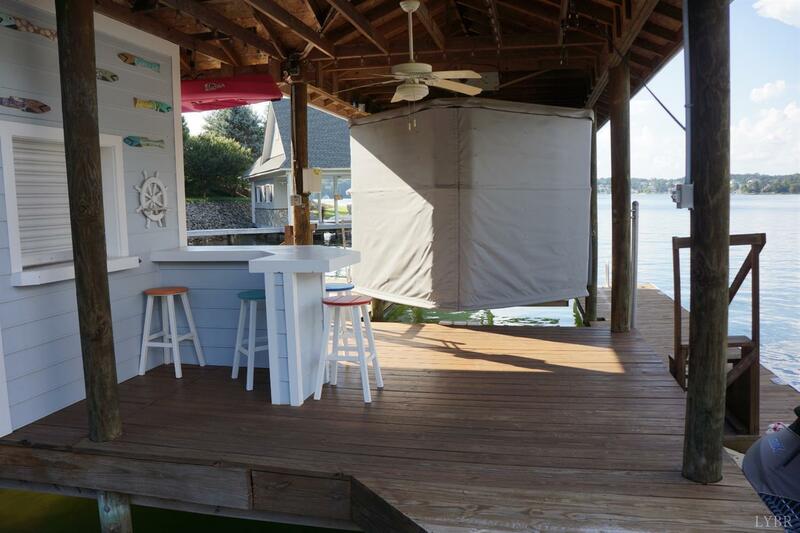 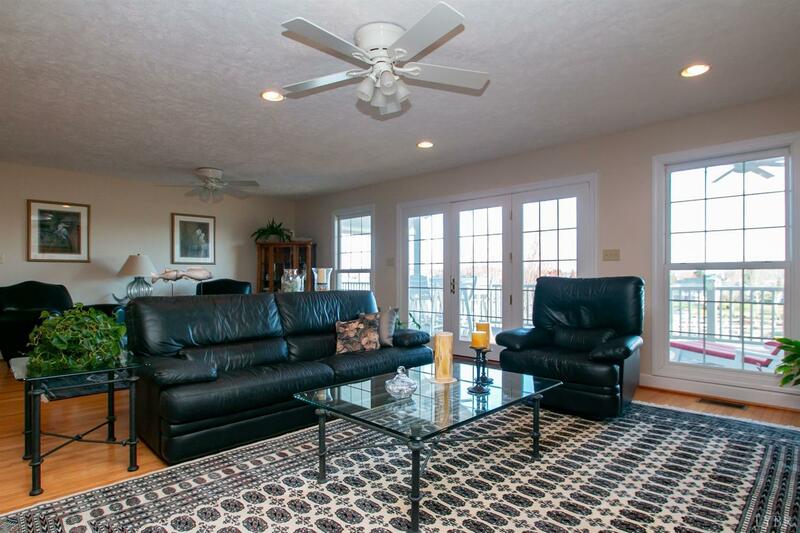 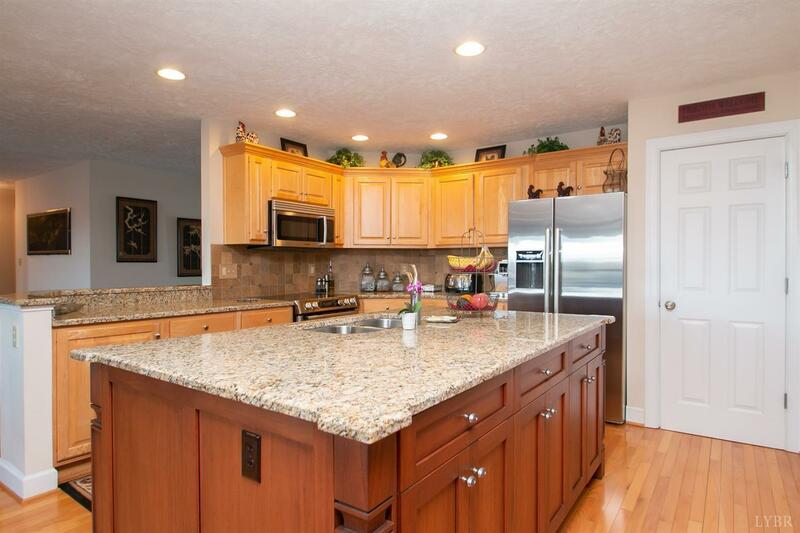 You will love this well-maintained waterfront home in the prestigious Boardwalk neighborhood! 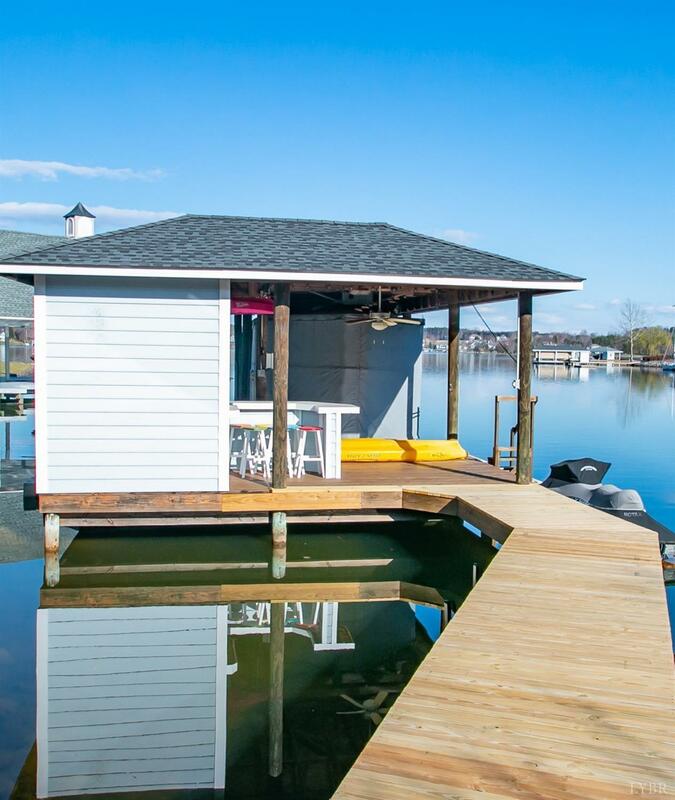 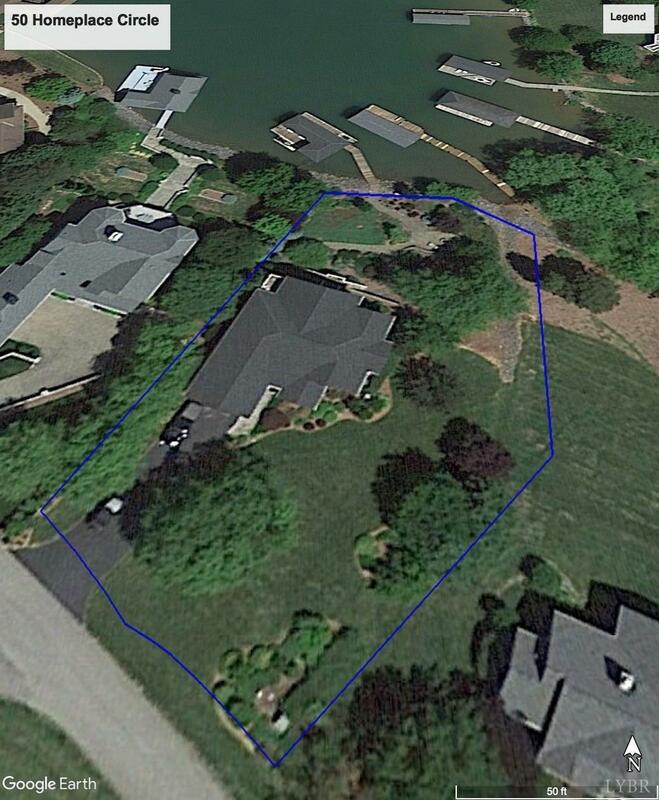 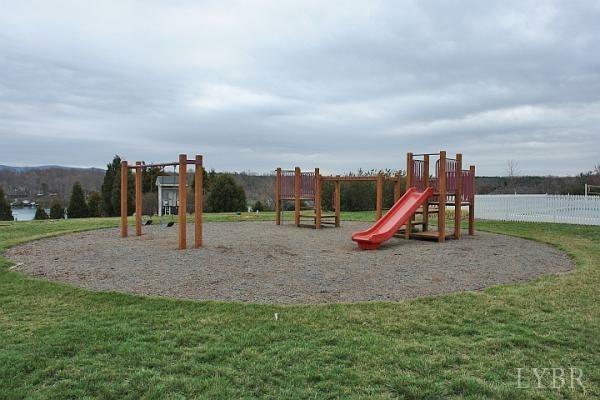 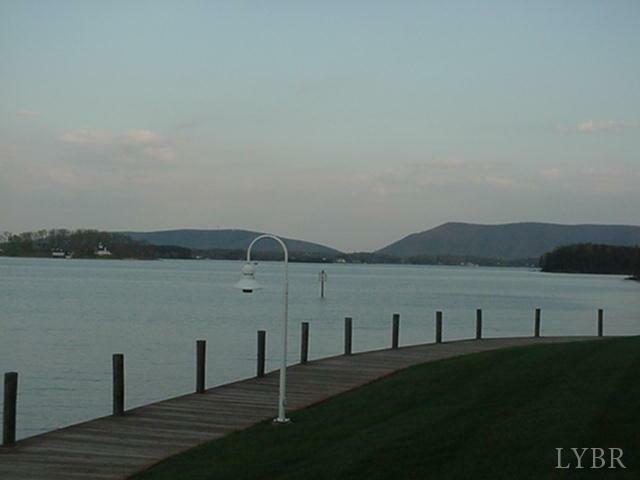 It is situated in a quiet cul-de-sac and located on a large cove off the main channel...quiet yet easy access to the popular parts of the lake! 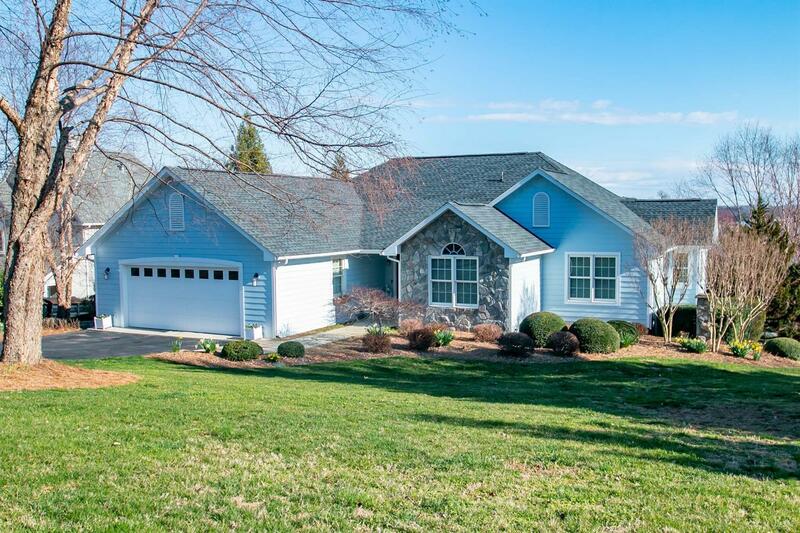 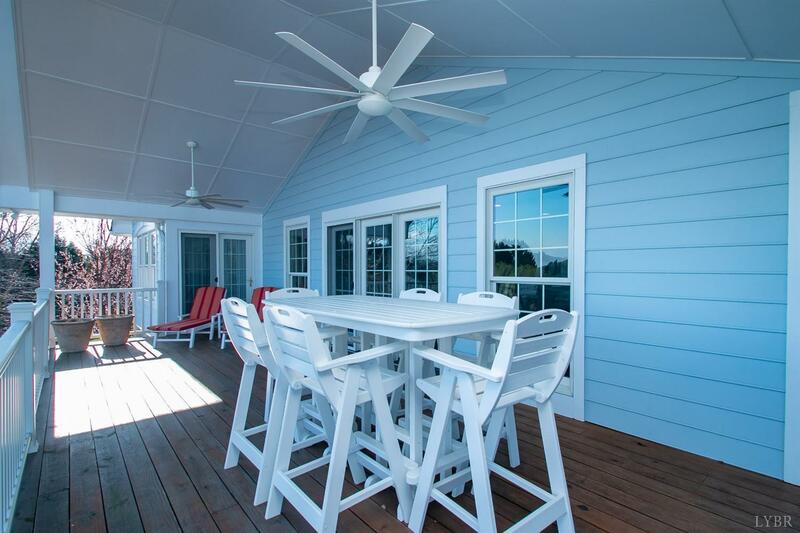 The open floor plan on the entry level features both a screened porch and large covered deck all with ceiling fans and great views of the lake and the Peaks of Otter mountains! 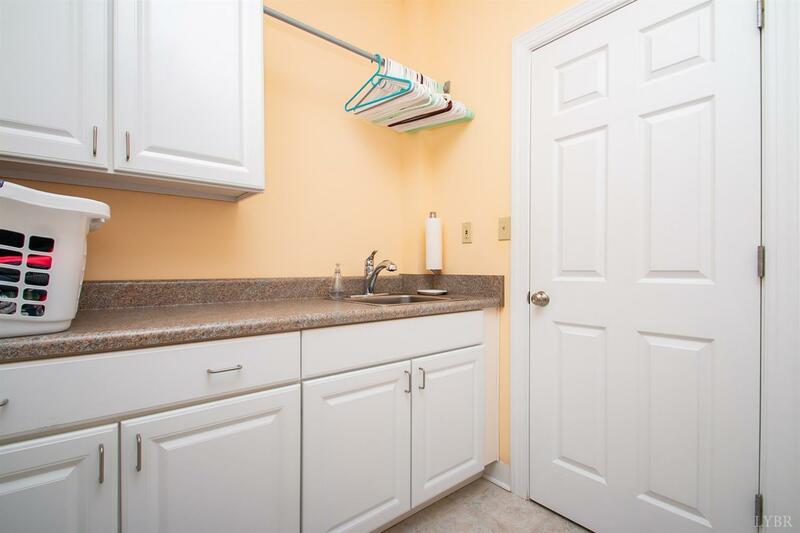 The entry level features a spacious kitchen with a large custom island with granite counter-tops and stainless-steel Bosch appliances. 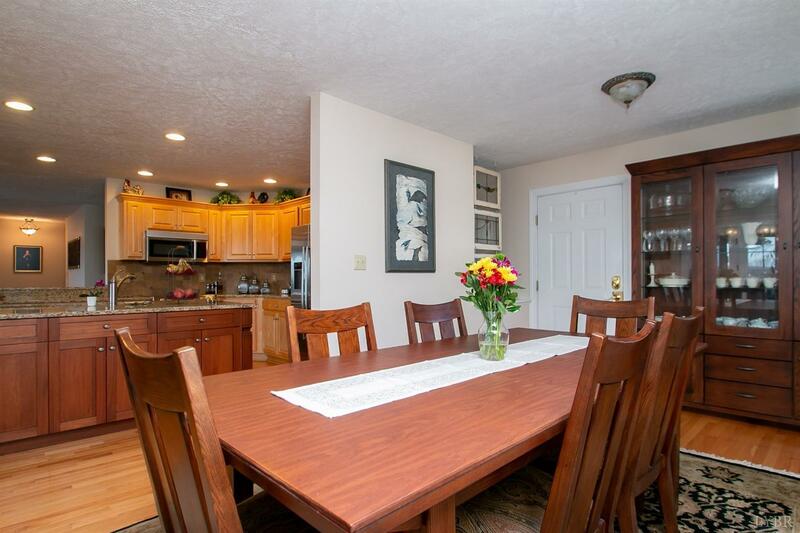 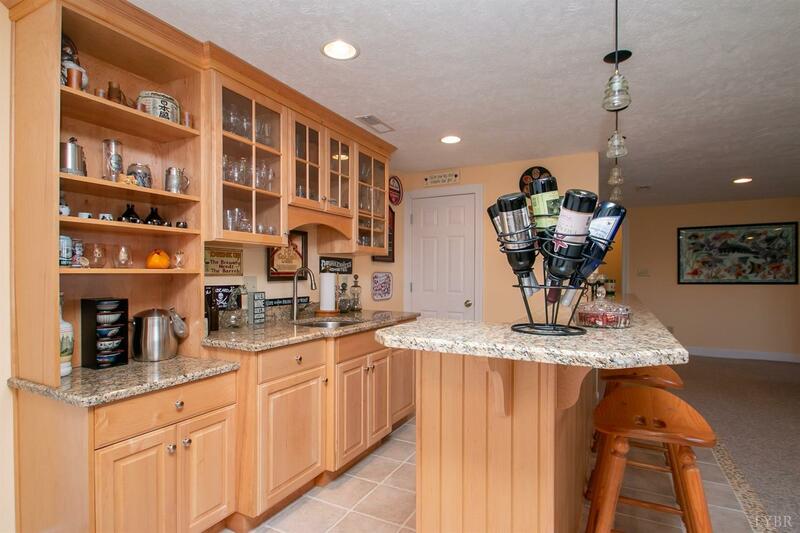 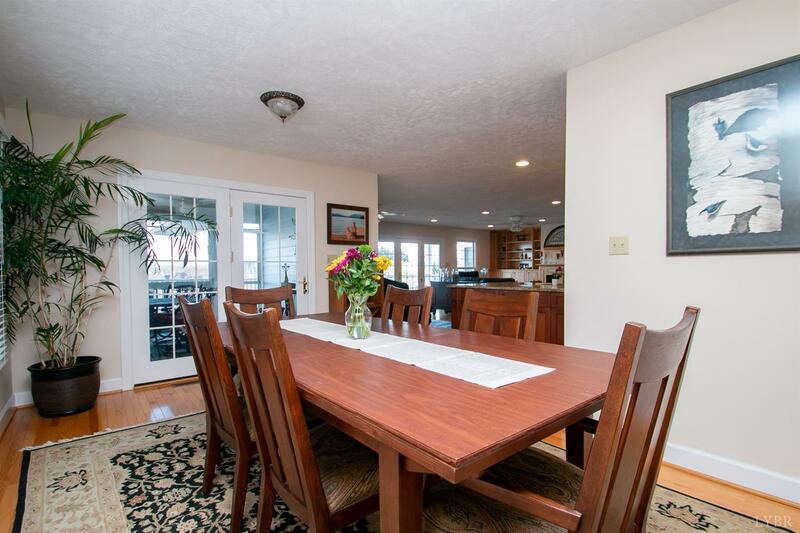 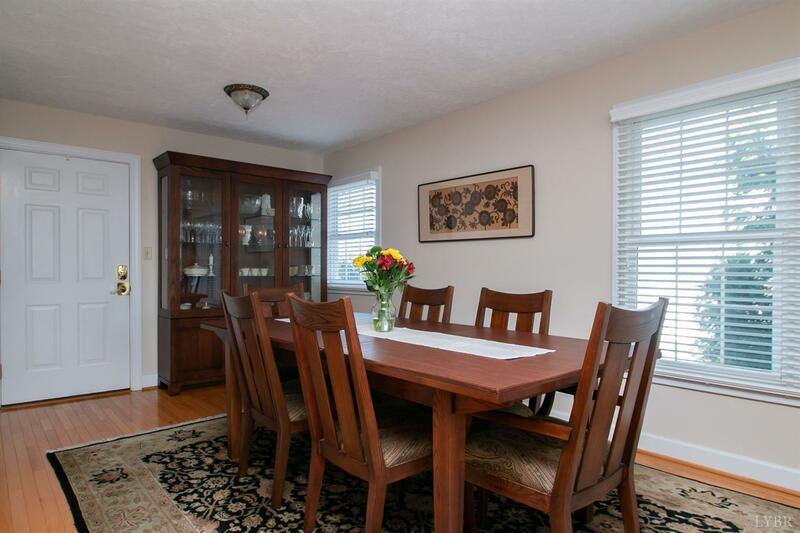 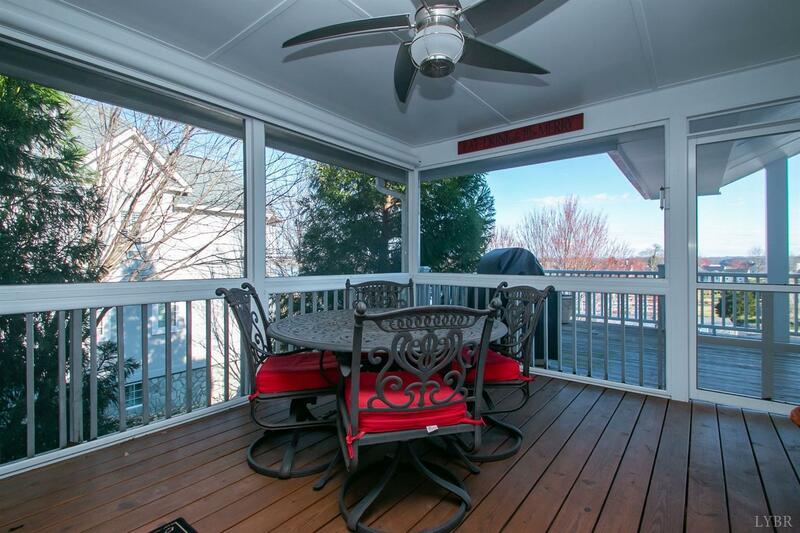 The dining room opens to the screened porch... perfect for entertaining! 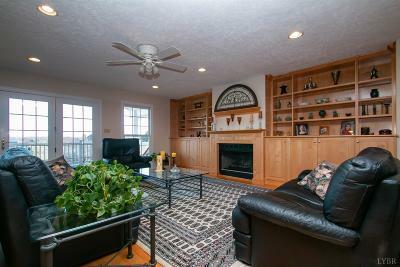 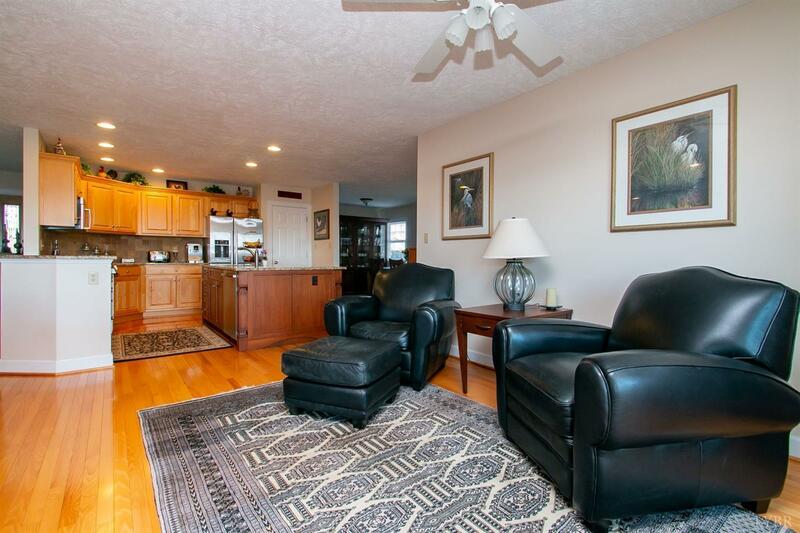 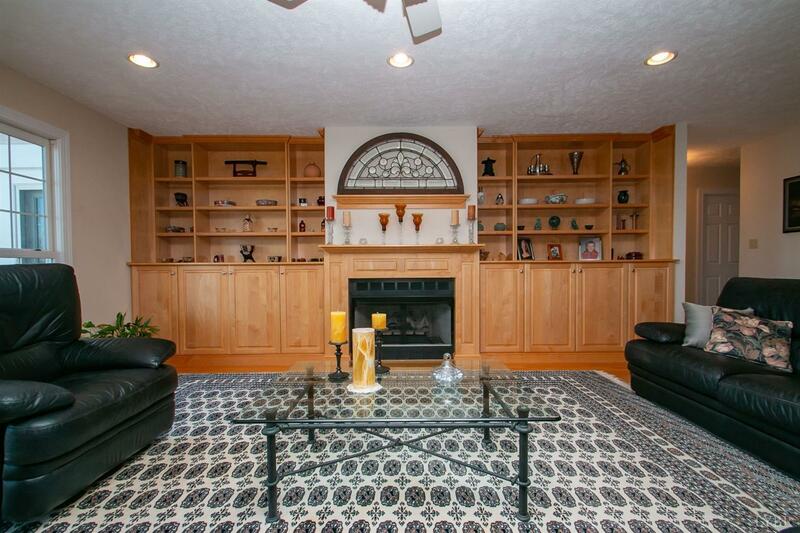 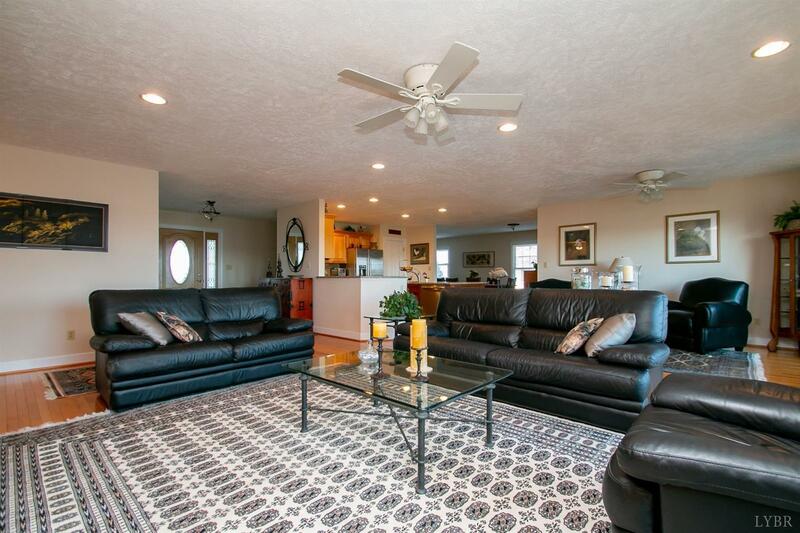 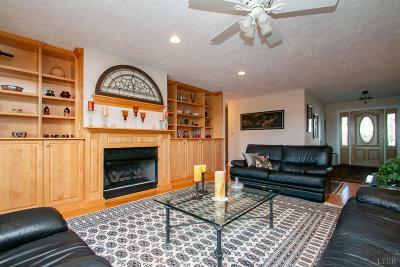 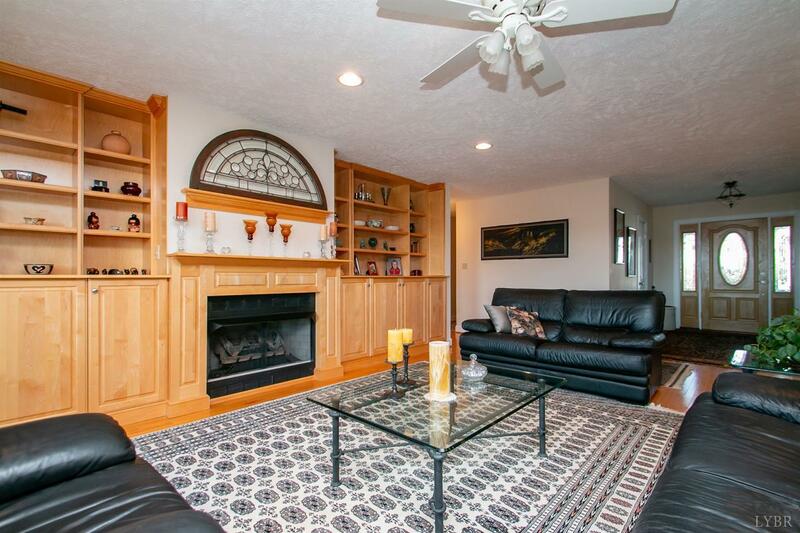 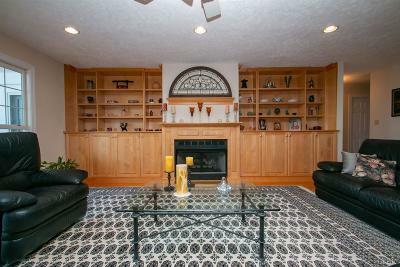 The living room has windows galore and custom built-ins as well as a fireplace with gas logs. 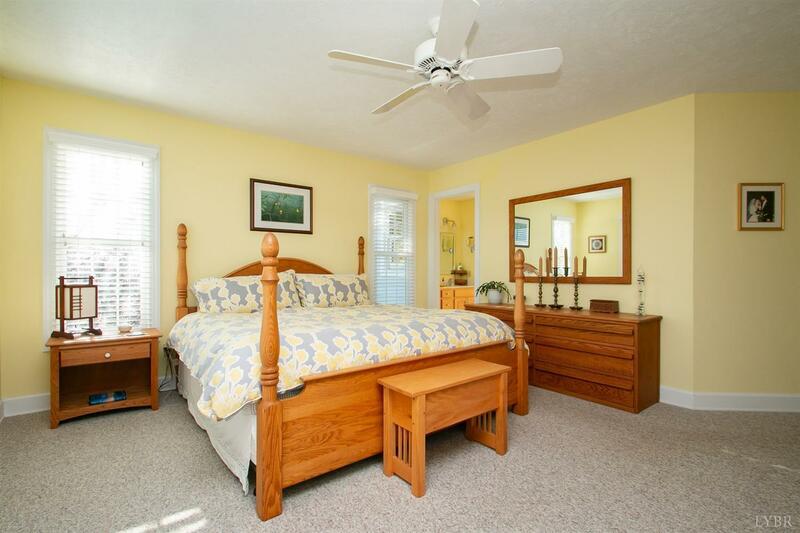 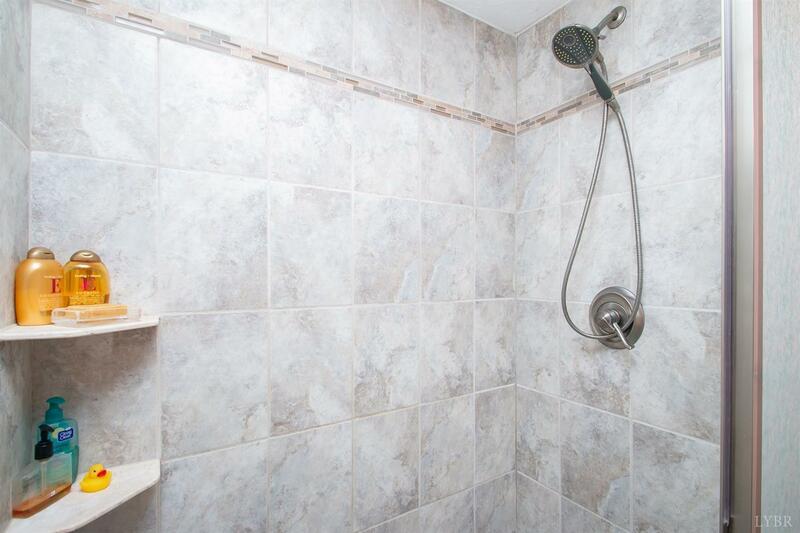 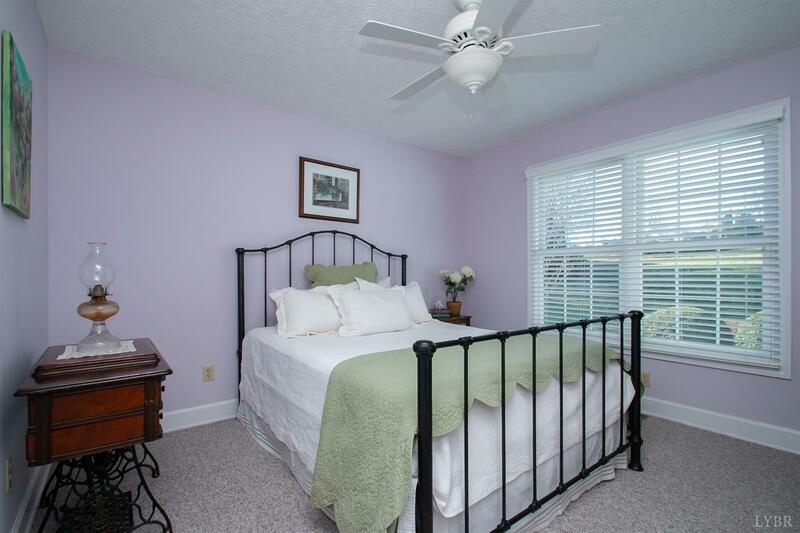 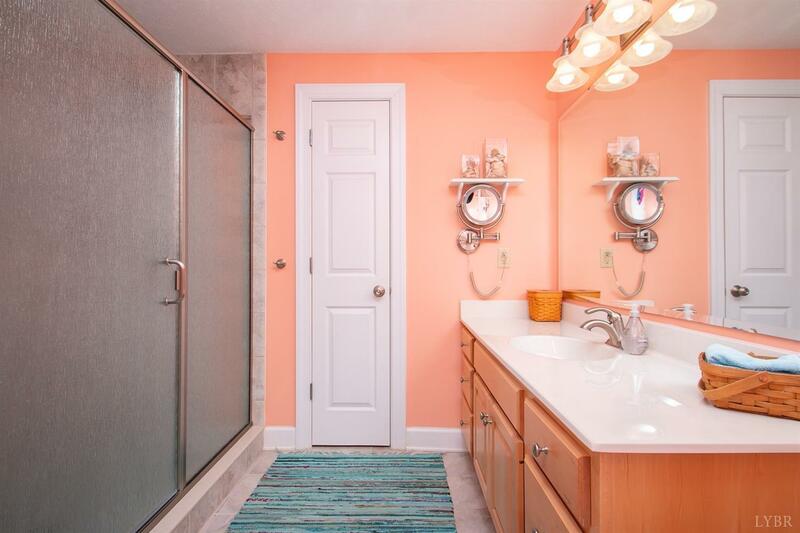 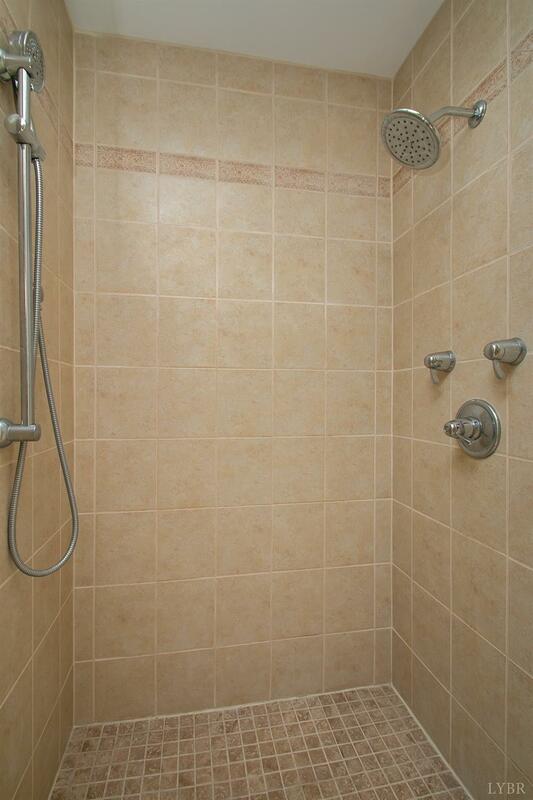 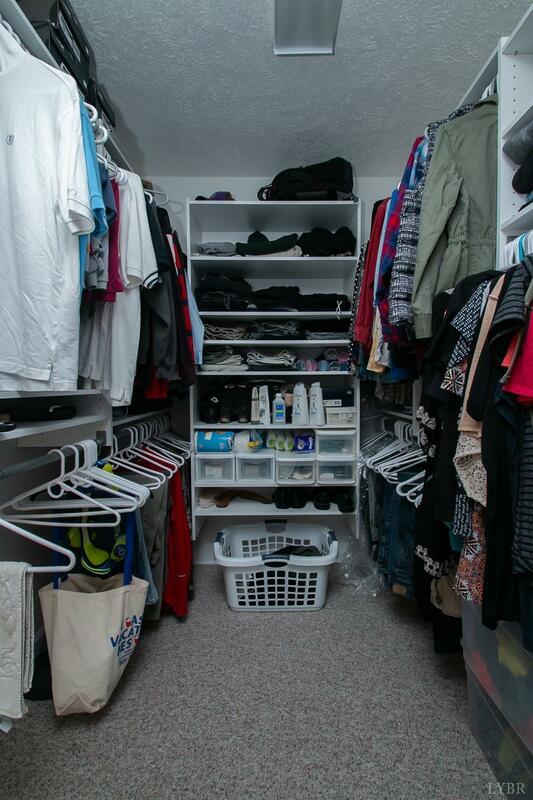 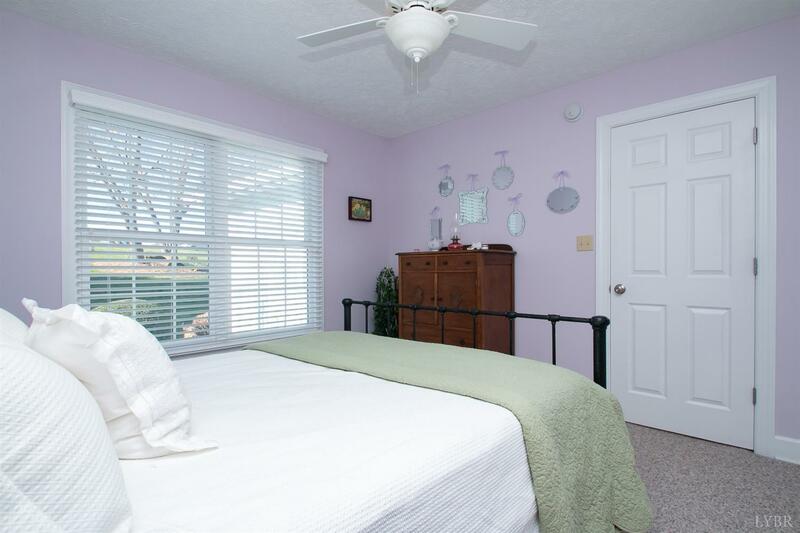 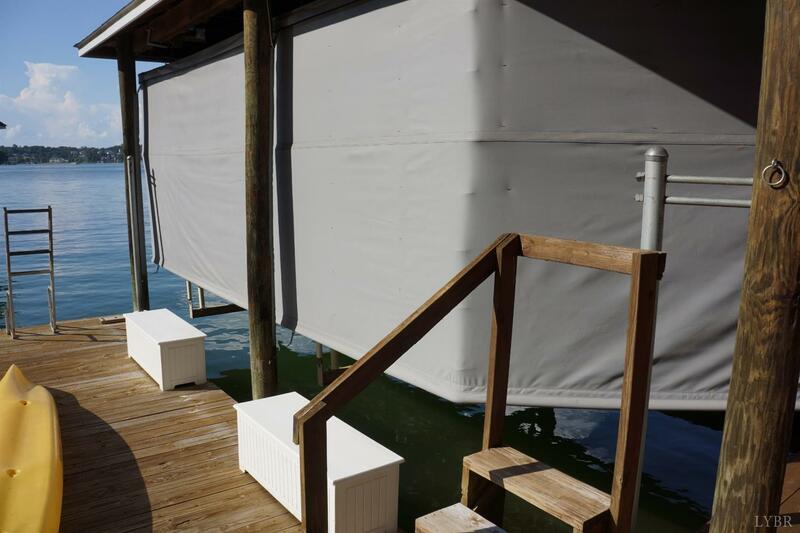 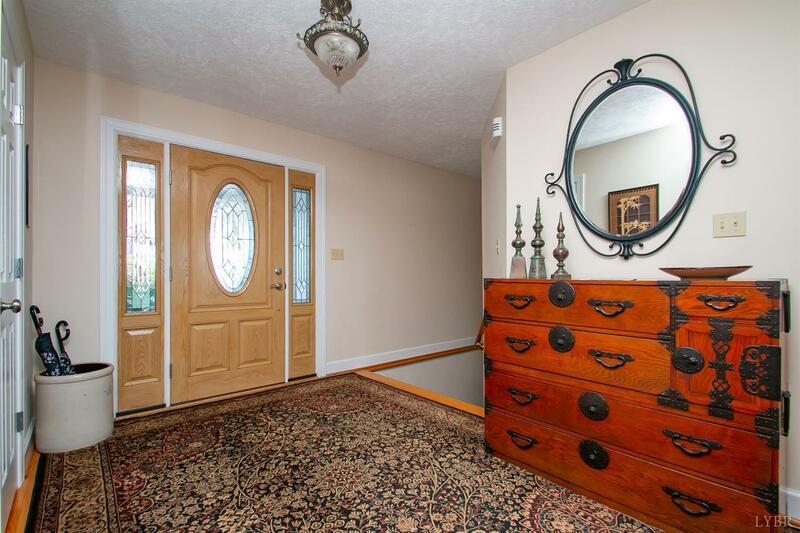 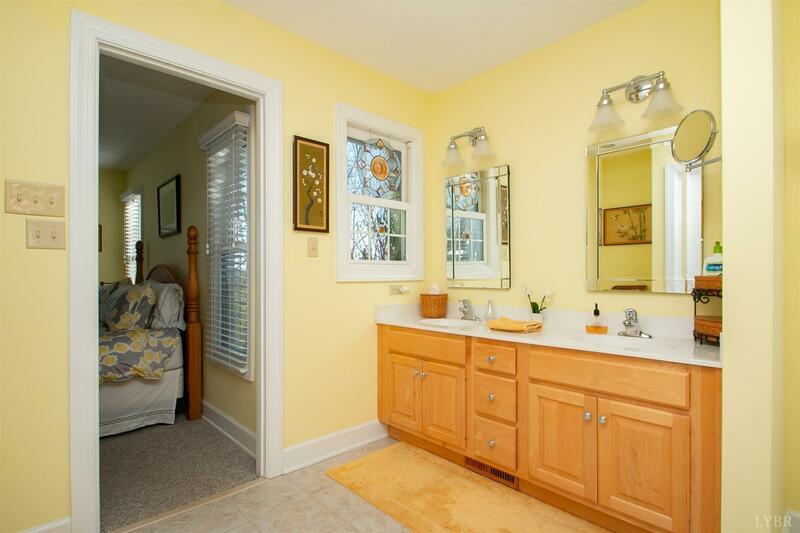 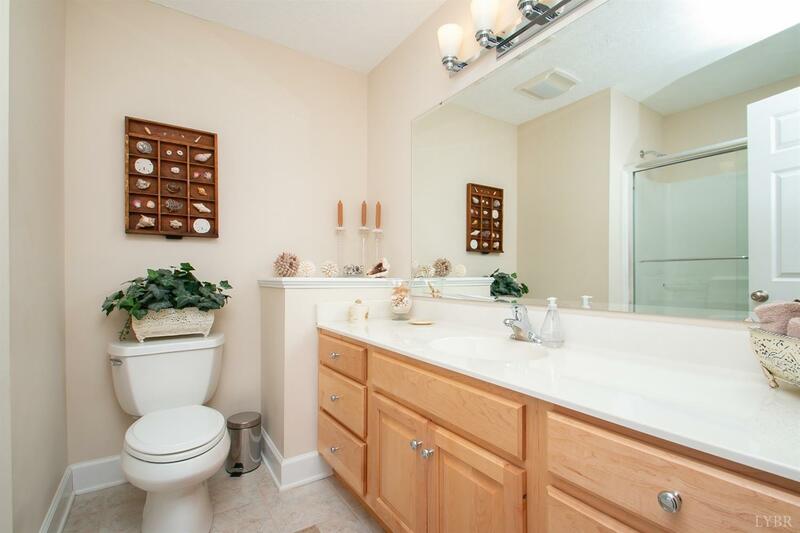 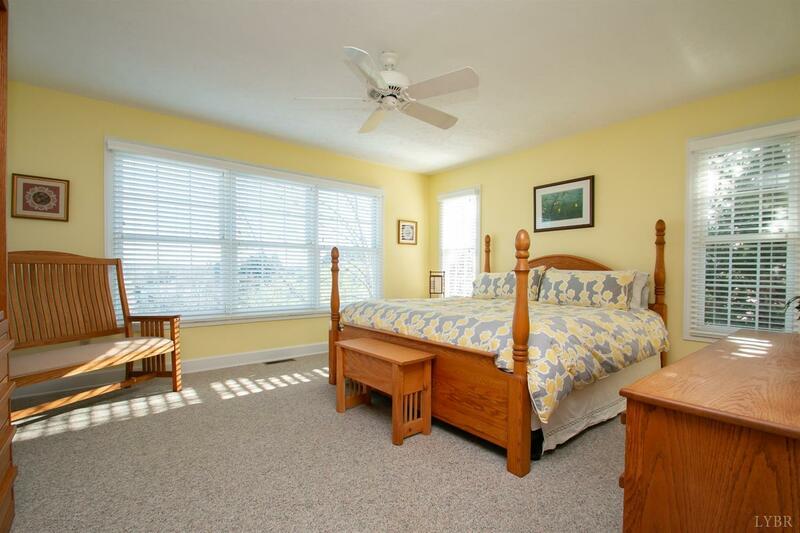 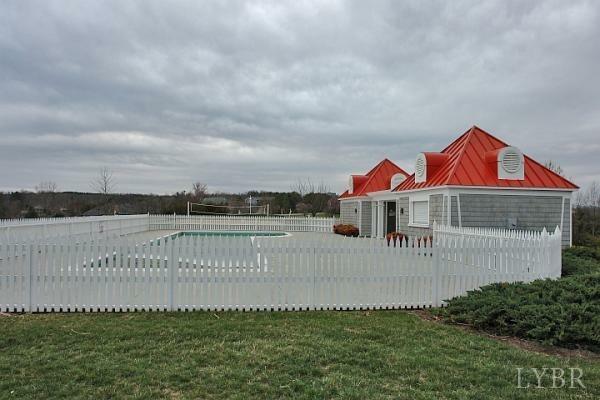 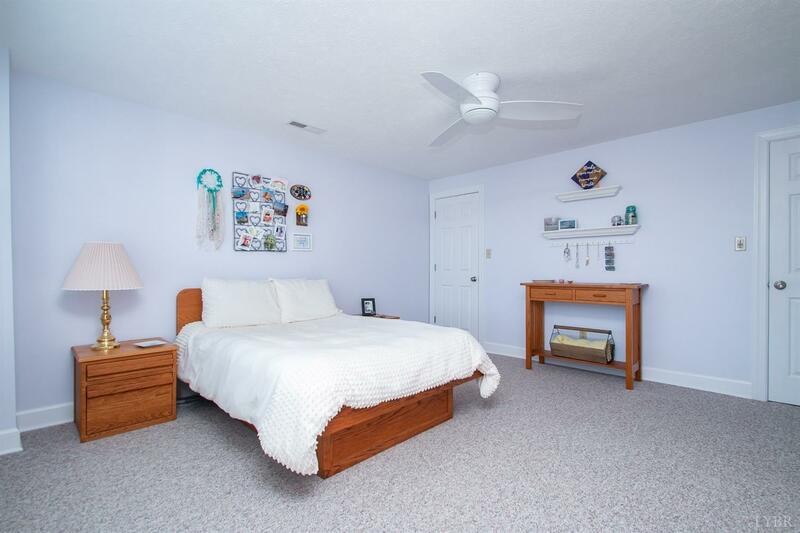 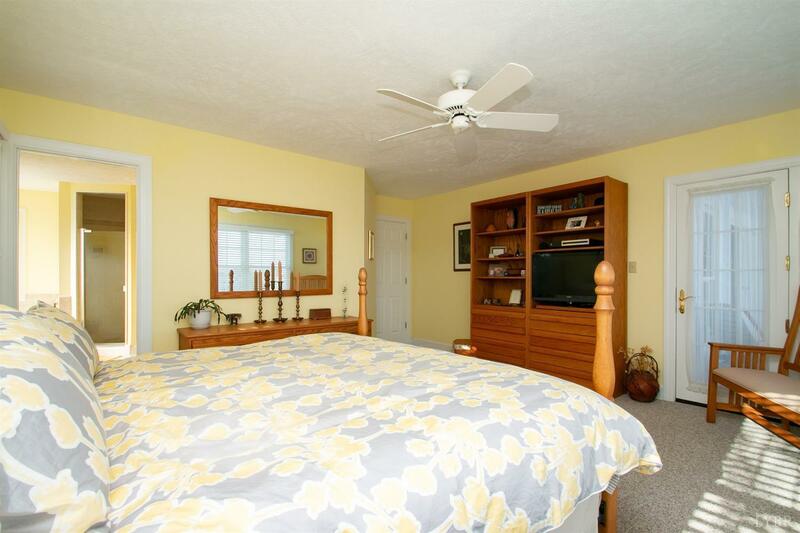 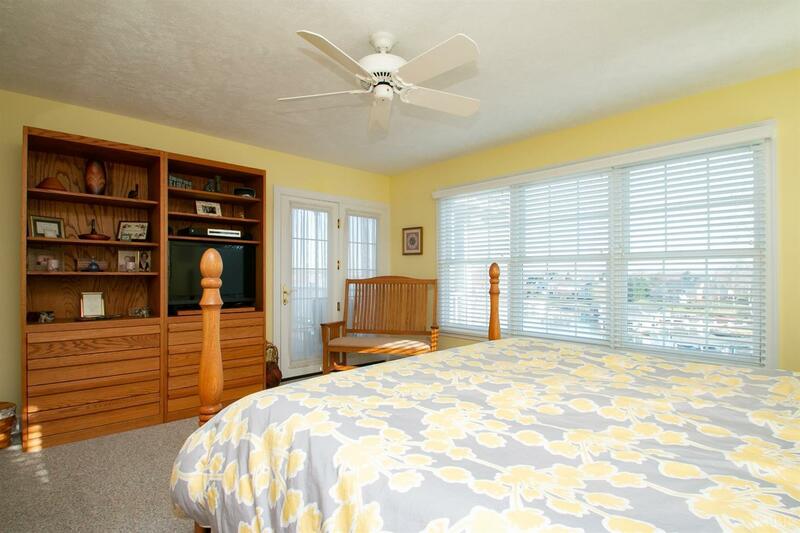 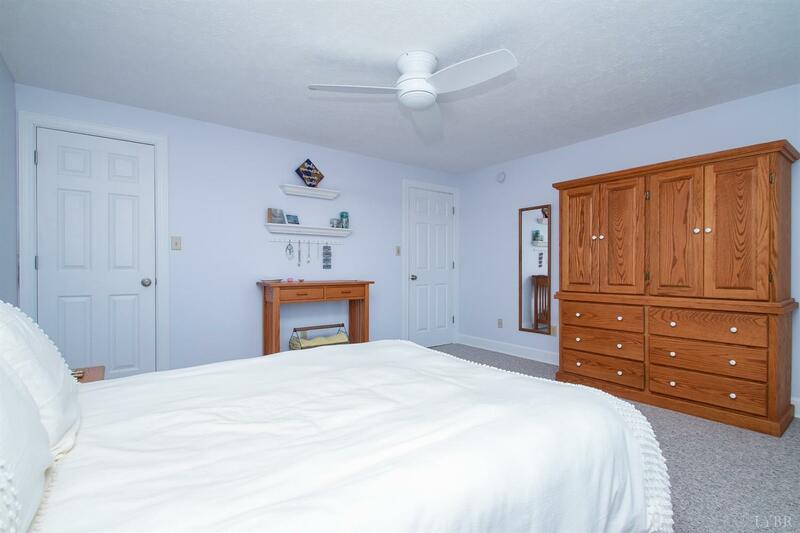 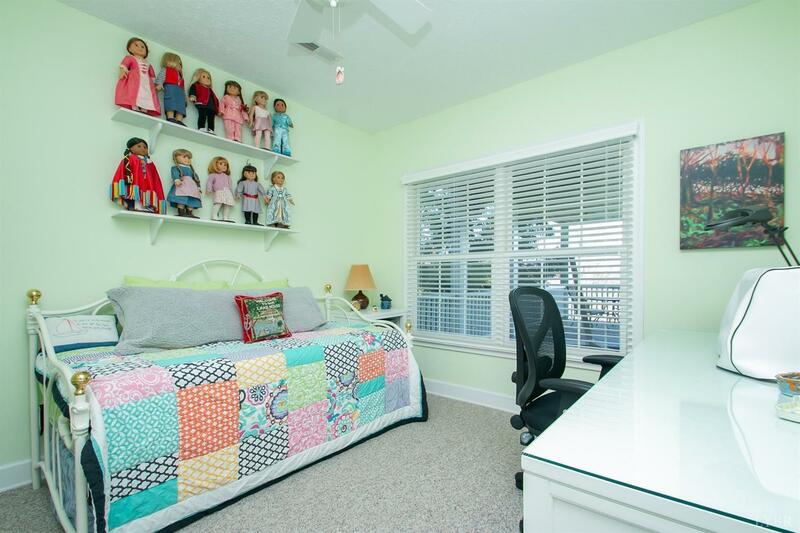 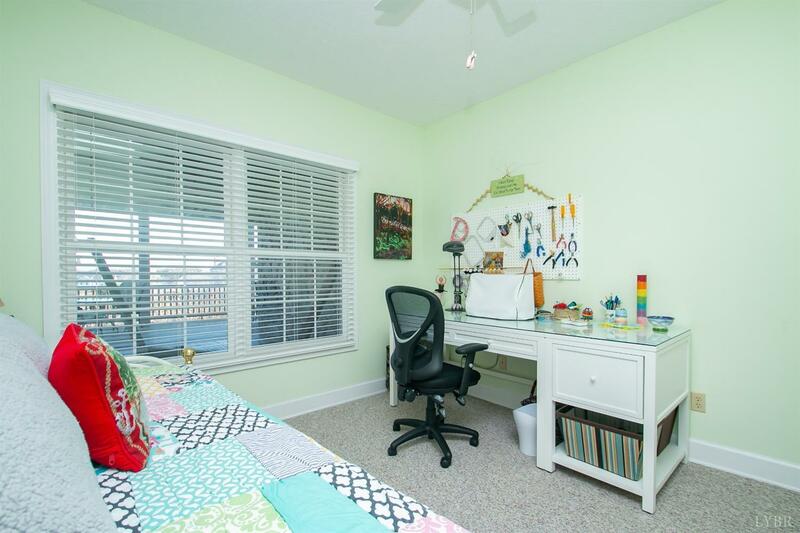 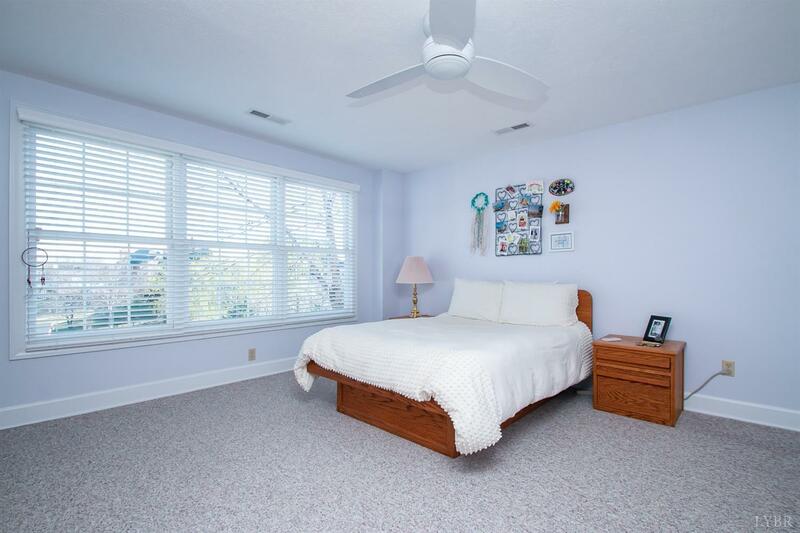 The entry level master bedroom has lake views and the master bath has a soaker tub, shower & walk-in closet. 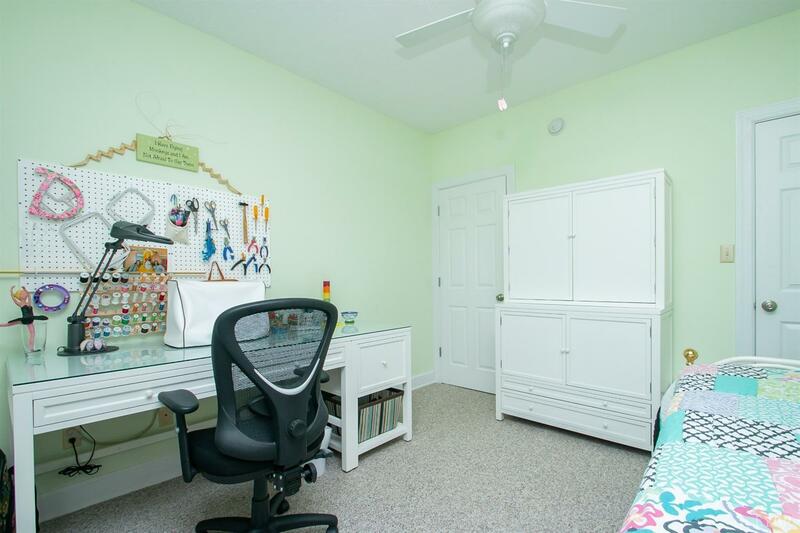 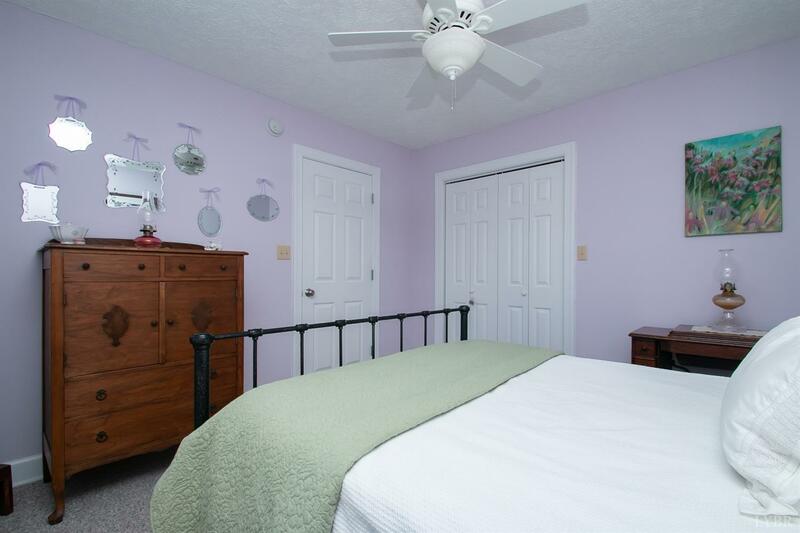 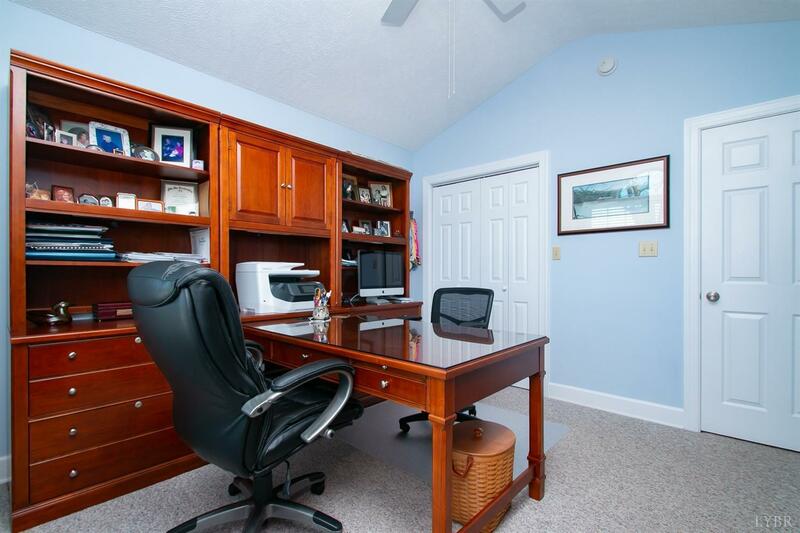 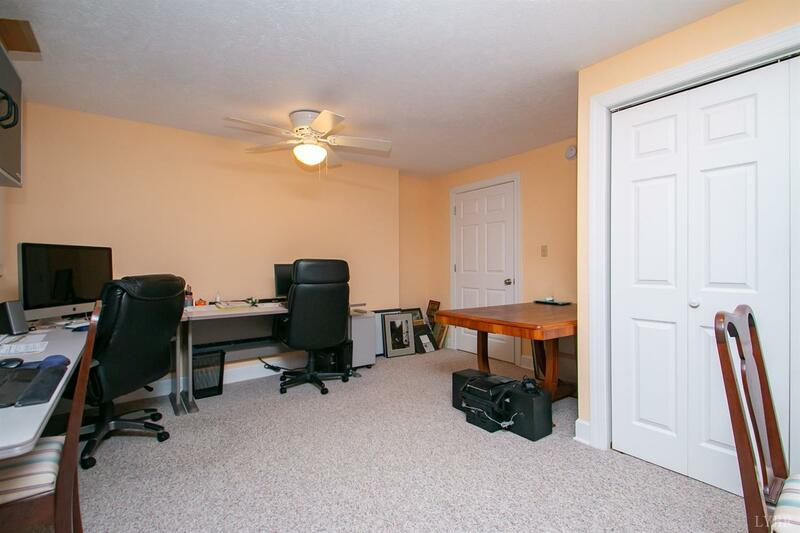 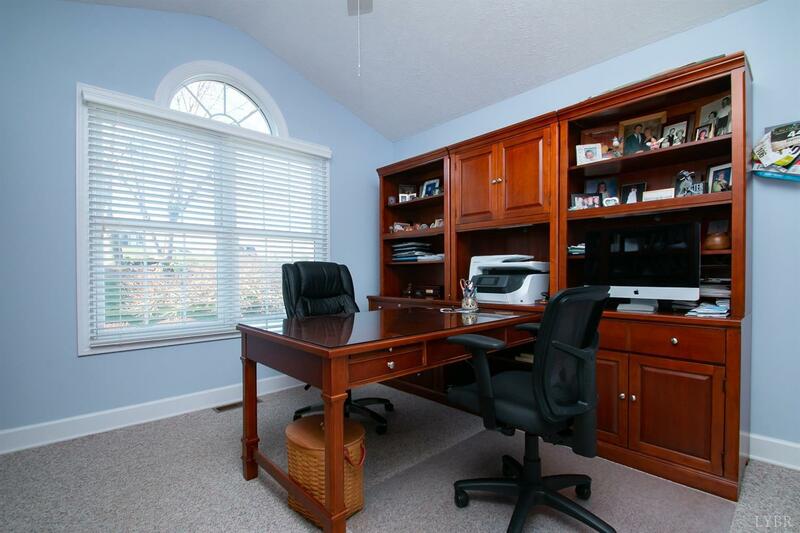 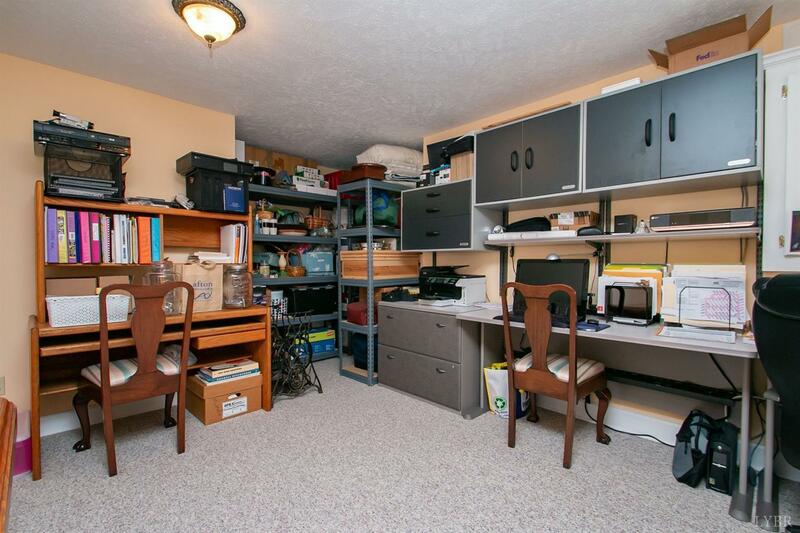 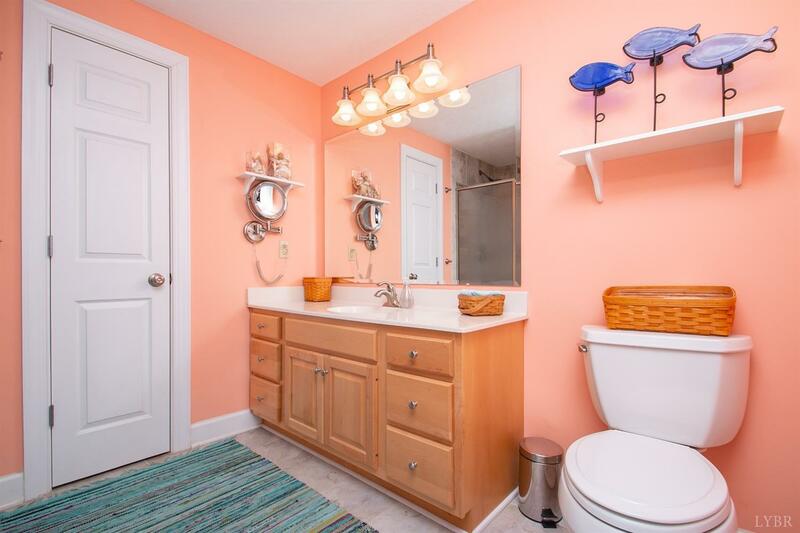 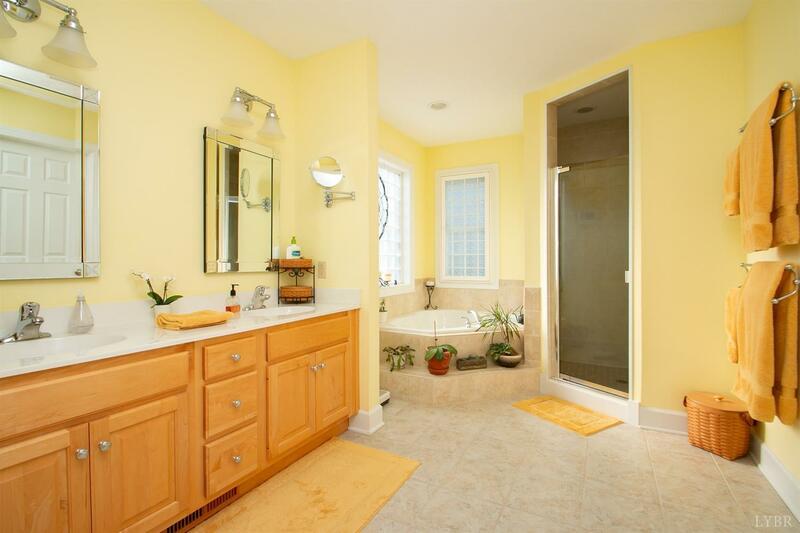 There are two other bedrooms on the main level (one used as office) and a full bath. 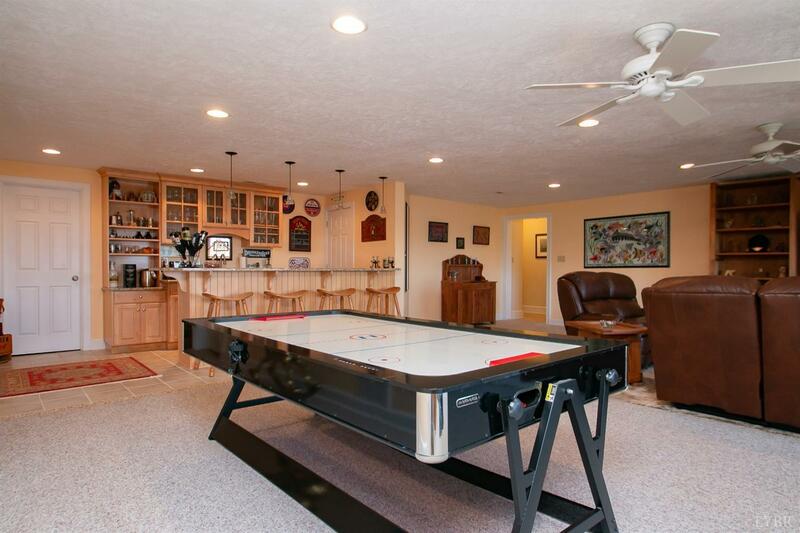 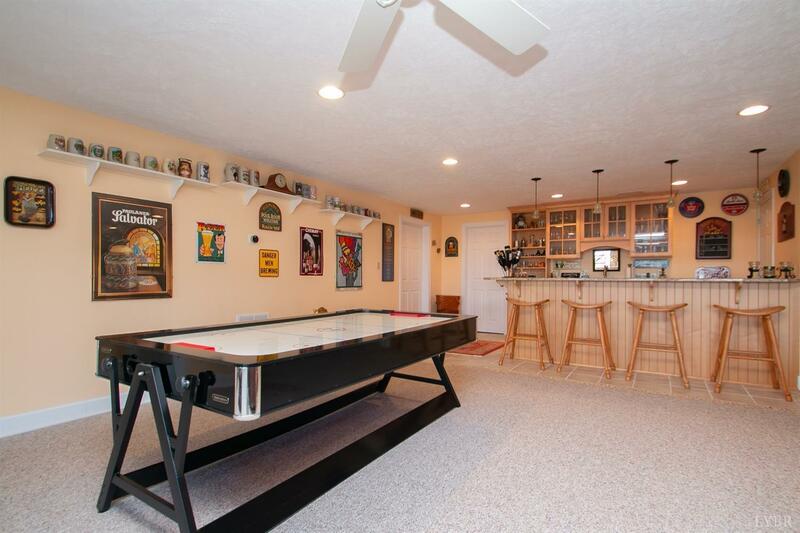 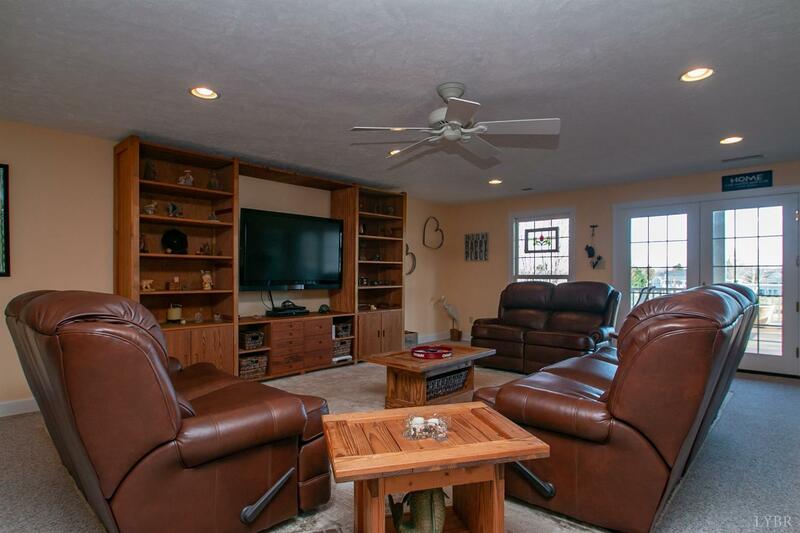 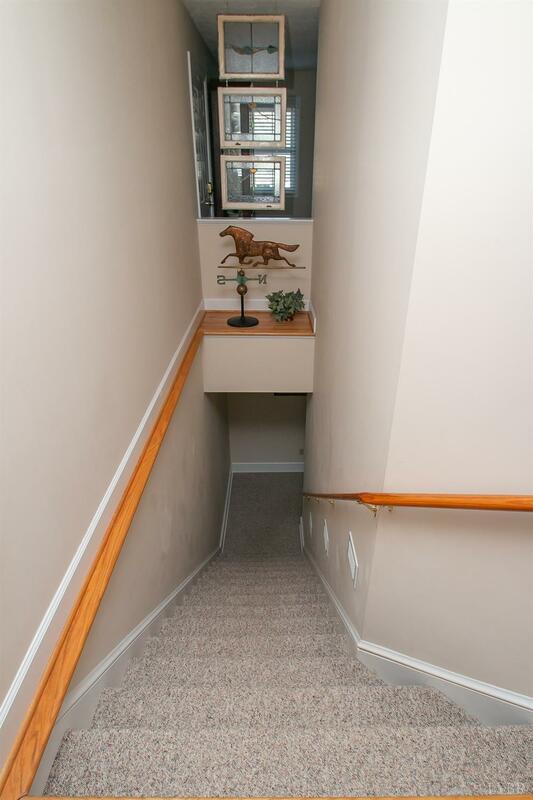 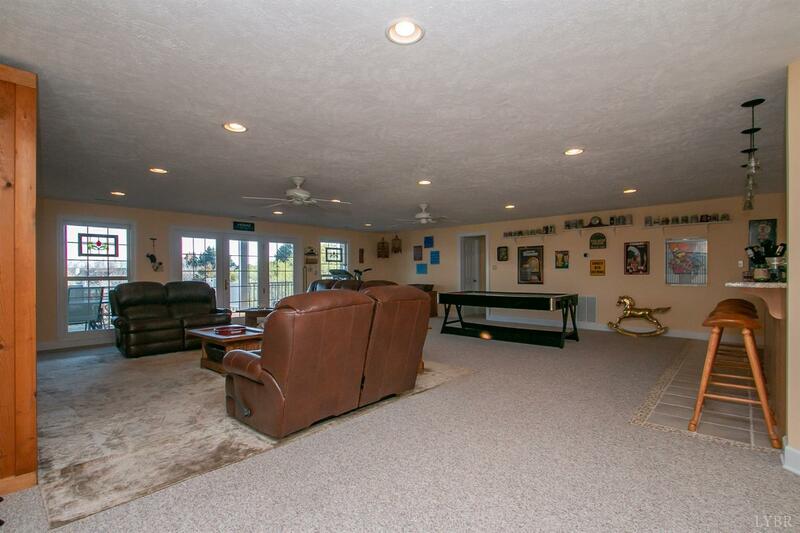 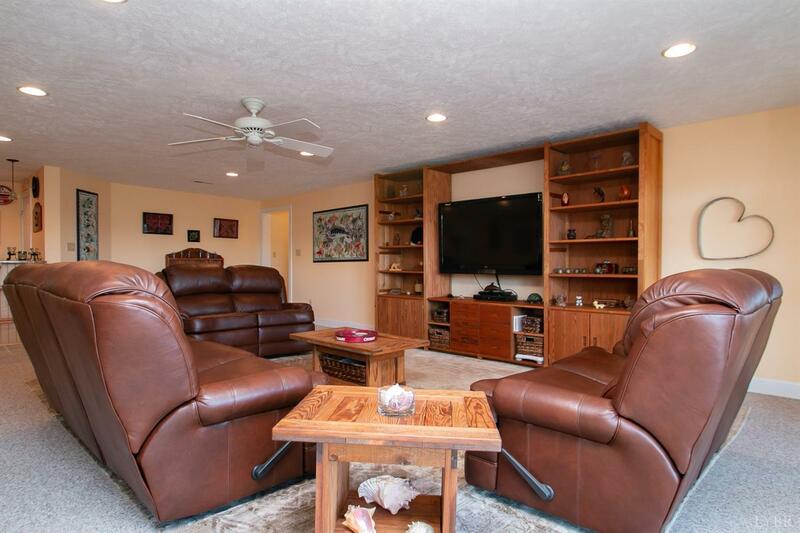 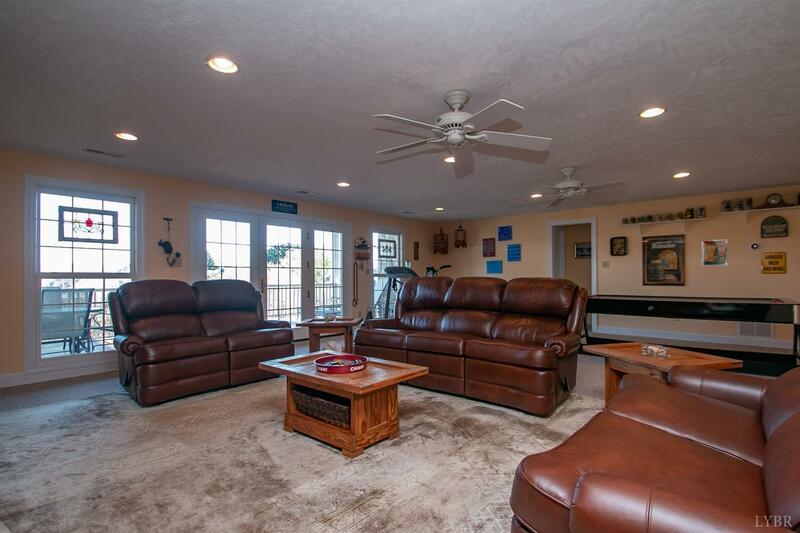 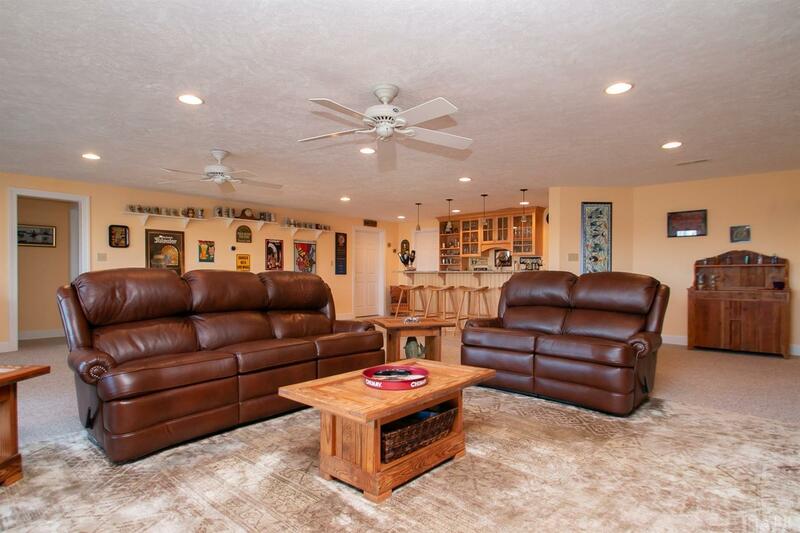 The huge lower level has two more bedrooms, full bath, large family/game room. 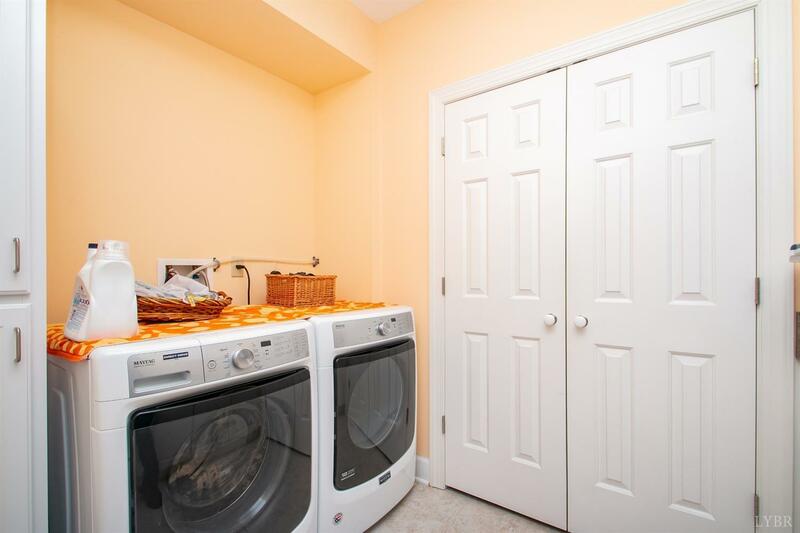 Laundry: Basement, Separate Laundry Rm.